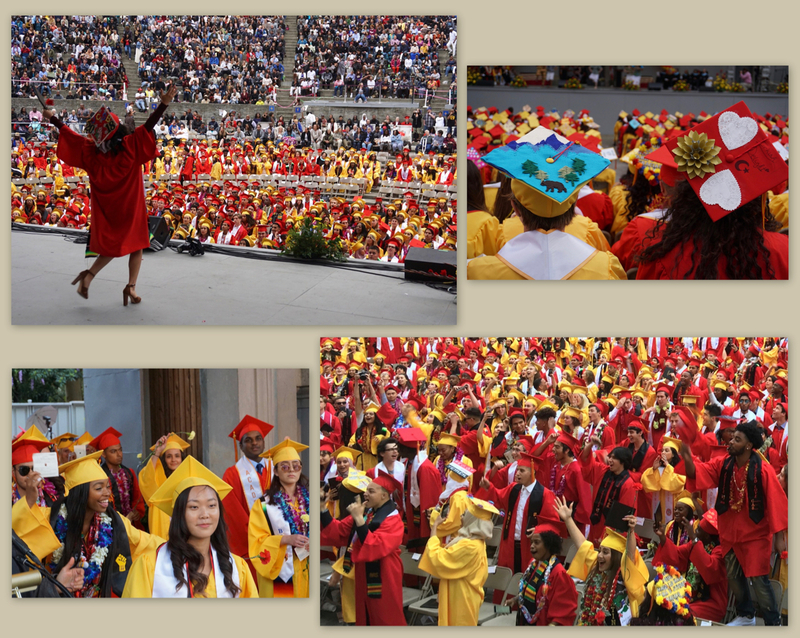 The Greek Theater was a joyful place on Friday, June 15, as the students of the Berkeley Unified School District High School Class of 2018 were joined by smiling family, friends and District staff in celebrating their graduation. 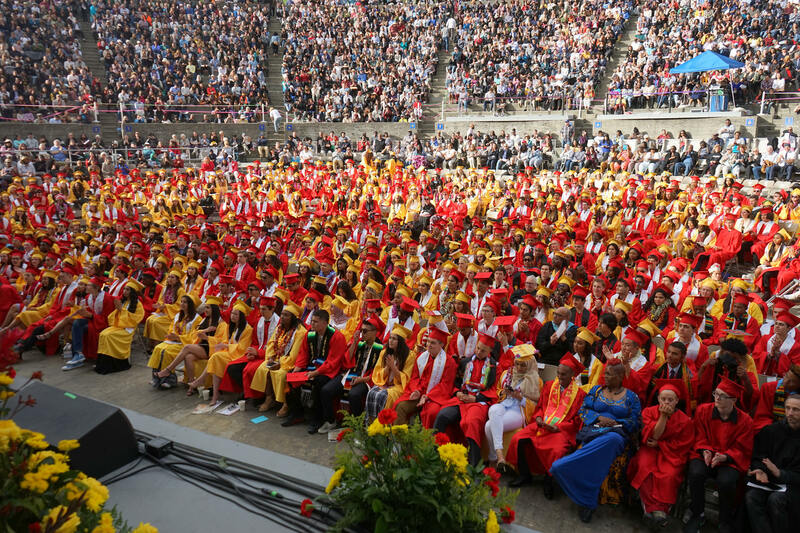 A sea of seniors clad in gold and red caps and gowns filled the seating directly in front of the stage, where the ceremony featured lively dancing, music and speeches. The gathering began with a welcome in 10 languages, reflecting some of the rich diversity of the student body. It ended with the awarding-of-diplomas ceremony, as each senior was individually called upon the stage. A total of 753 students graduated this year from Berkeley High, Berkeley Technology Academy and the Independent Study program. 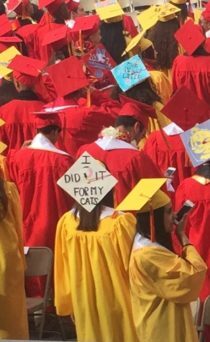 As the event closed with Superintendent Donald Evans’ formal acceptance announcement, red and gold graduation caps sailed into the air. More photos from the graduation ceremony can found in an East Bay Times article and in four Flickr albums by Mark Coplan: graduation friends, ceremony, graduates (part 1) and graduates (part 2).